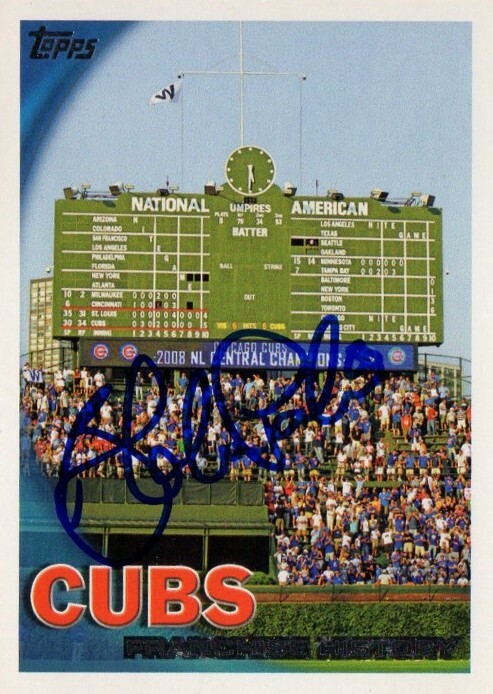 This signed 2010 Topps Chicago Cubs Franchise History subset card [#511] probably doesn't mean much - but I remember getting it signed by Parker in his first full season in the big leagues in 2013. 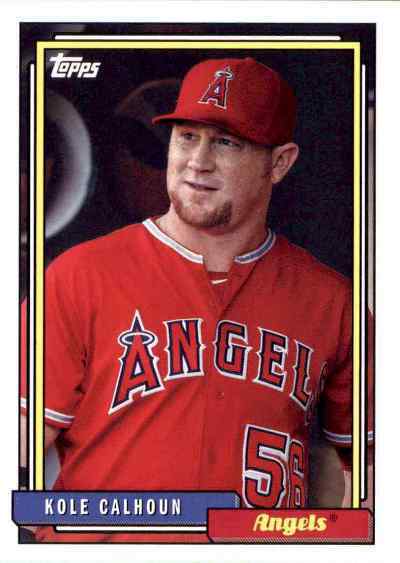 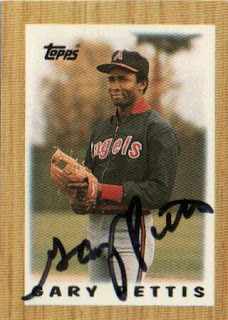 After bouncing around the waiver wire in 2016, Parker was picked up by the Angels and has pitched out of the Halos bullpen this season - so improbably, the random autograph card ends up being an add to my Angels all-time autograph collection. 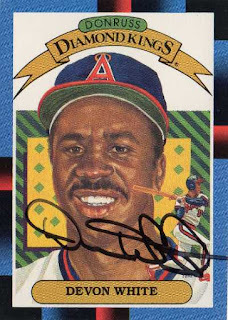 Presumably my collecting life will be over at some point - so what would someone make of the remains of what animated me? 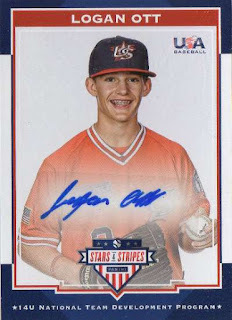 Would the snapshot be of someone who managed to have some cool stuff and knew what he was collecting or would the picture be less flattering - where I built upon scattered interests that have left my collections incomplete, unfinished and abandoned? 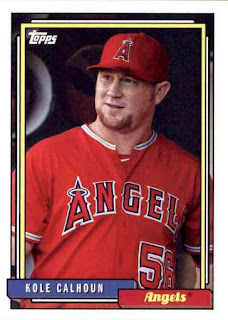 I may have good intentions, I may have a plan but maybe the focus isn’t there - things fall kind of flat and I end up feeling like a hoarder at times, which maybe the truth. At the most basic level, I want to be able to go through the cards I've collected and feel like I'm not such a hoarder at times - as is, one of the things that bug me are the countless inserts I've pulled over the past five or six years. 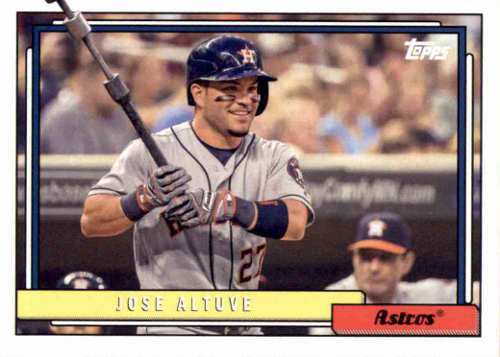 I don't really think I bust enough of anything to have all sorts of inserts - but I may have assorted cards 'all over the place,' maybe squirreled away to give them the most minimal of protection, but otherwise loose. 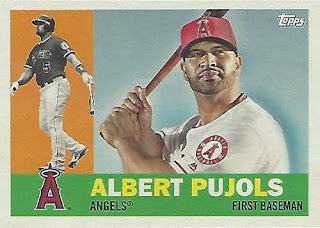 Which ones I do list out in their own A-Z archive of sorts to be jammed away in a box and which ones can I just add to my 'binder collection' of decade stars - I think the most common inserts associated with a particular decade star can be stored with the players' other cards because it's not like I'm going to need some random, cheapo insert. 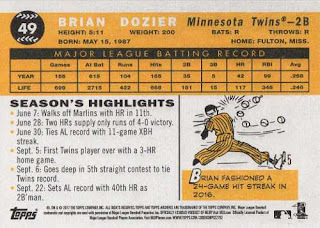 Anything that ends up falling under 'misc' where it's kind of a more notable card nicer than a common insert and/or base card - can be listed in a Google Sheets file and put away. I guess the biggest benefit of having a list and also keeping up with the physical collection is for trade purposes, which I don't really do because the hobby is really self-absorbed for me - still, in order to feel a little bit more organized, to be a 'pro' if you will, I'd like to harp on accounting for inserts coming into my hands. 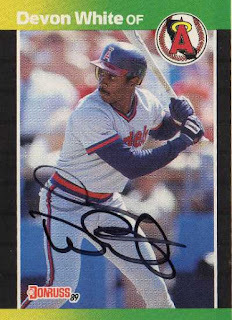 The former Angels outfielder signed my cards in black Sharpie in about three weeks c/o Houston Astros - where he is the third base coach. 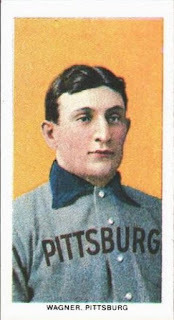 Pettis as an all-world center fielder and while he didn't hit much - he got on base at a decent enough clip, was a speedster and in his prime, no one matched his prowess as a defender. 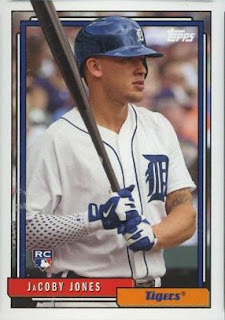 Like Devon Whyte, I saw at least one TTM success posted on Instagram this year and figured I might as well send off a letter to see - if I could get ink on four of my random junk wax era cards. 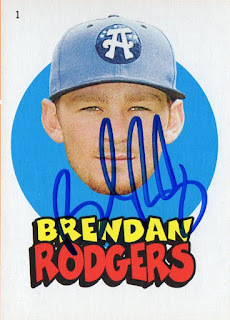 He just didn't care for signing and didn't pay much attention to signing his autograph - when he did sign, the autograph on your item might be upside down, sideways, over his face, but never upright and neat. 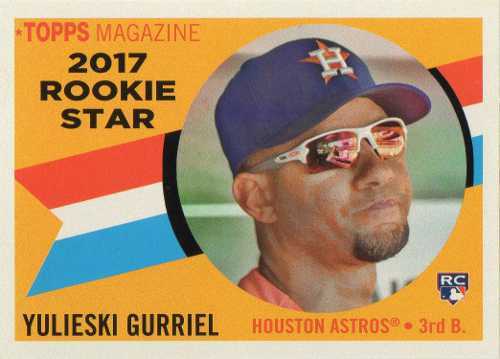 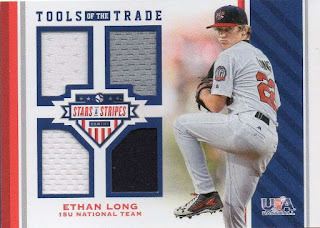 From what I roughly assume, these were the retail version of the 2017 Panini USA Stars & Stripe product - I picked up a box online for about half of what the hobby versions are going for. I think these boxes still go for about $50 at Targets, though that doesn't really say much if the boxes haven't flown off the shelves - however, I might as well try one to see if I could pull some USA autographs and/or relics. 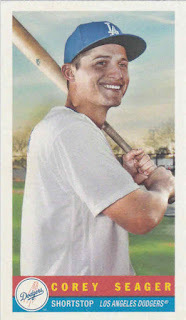 #55 Cade Doughty - apparently all the base cards have the foil board, 'Longevity' finish. 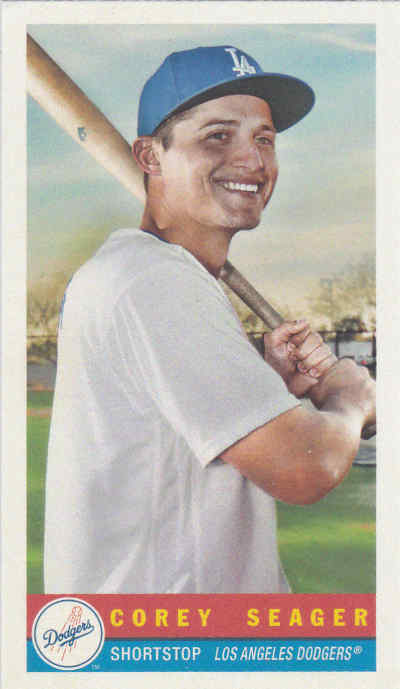 #13 Zach Martinez - certified autograph serial #'d 008/199 ; there is some ink smudging on the back, someone must have stacked these cards quickly after applying the clear hologram sticker. 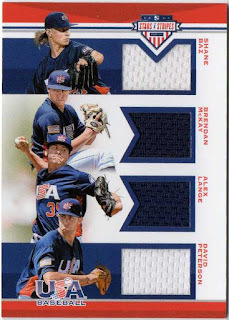 #5 Shane Baz / Brendan McKay / Alex Lange / David Peterson - quad jersey serial #'d 079/199; it's nice having four guys who ended up being first round picks on one card. 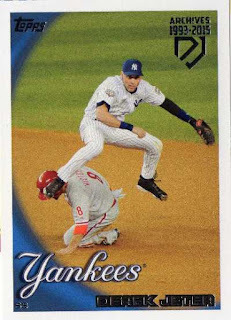 "Your favorite card in your collection." 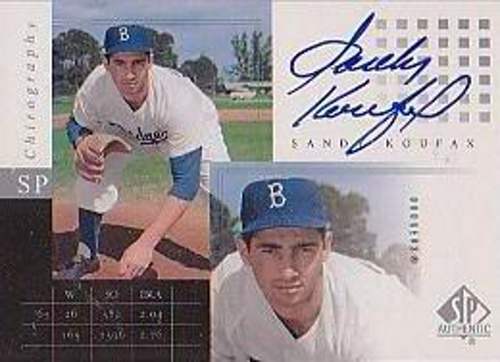 2000 Upper Deck SPX Sandy Koufax #SK - SP Chirography autograph. 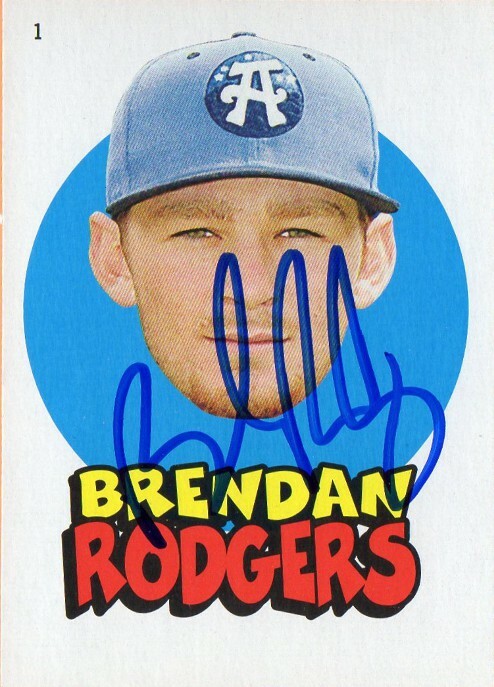 Even though it's nearly 20 years old, this certified autograph doesn't really give off the 'classic card' vibe - it's a modern card picturing an old-timer long after his career was finished. 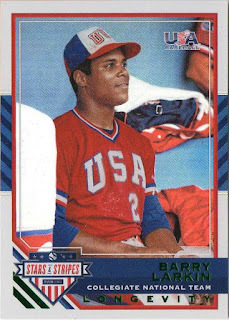 I don't know if I have a special attachment to the card, but I picked up years ago, realizing the legacy of the player pictured - as a legendary Hall of Fame player and franchise icon. The card is squirreled away and it's sticking around as the centerpiece of my collection- for as long as I'm interested in collecting baseball cards. 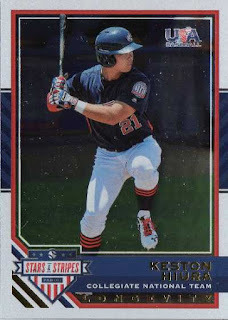 After hitting .400 for Lancaster in the California League, the 20-year old shortstop - is 1-for-9 in 2 games for the Hartford Yard Goats in the Eastern League. 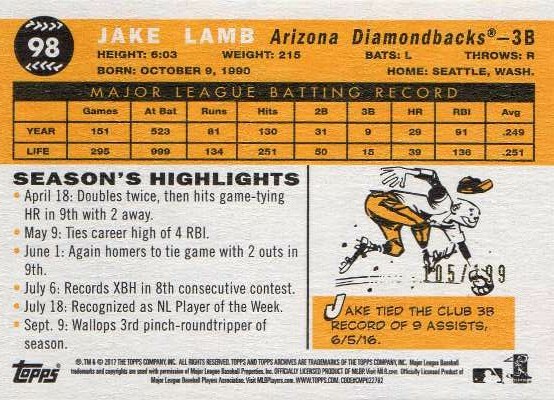 Rodgers is one of the elite prospects in all of baseball, though according to this BA breakdown - his batting numbers in Lancaster was due to the hitter friendly environment as much as his natural abilities coming together. 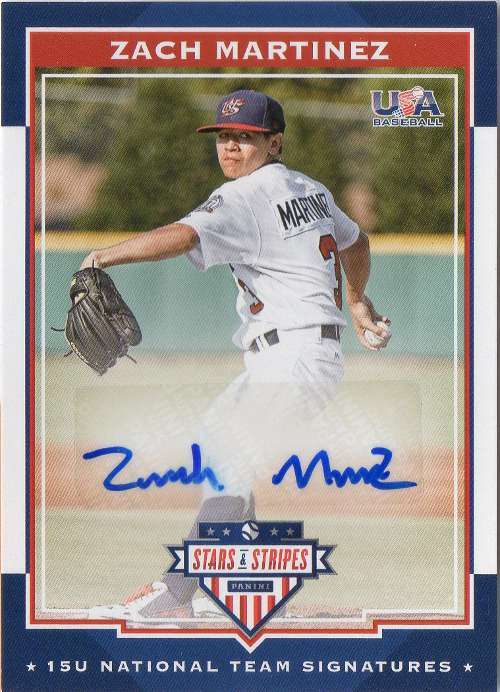 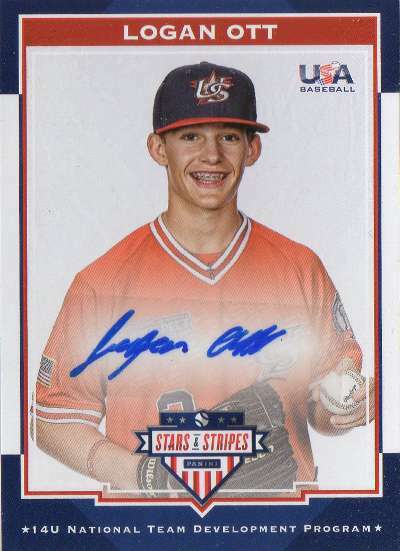 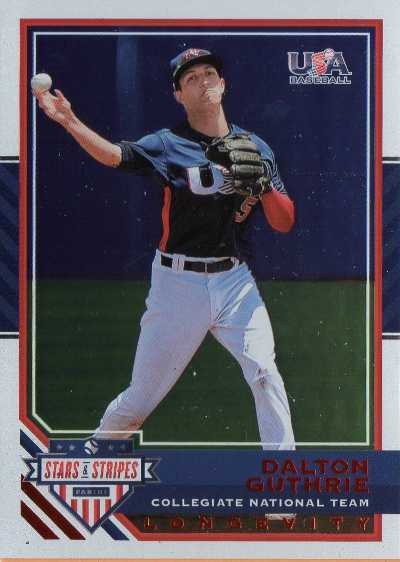 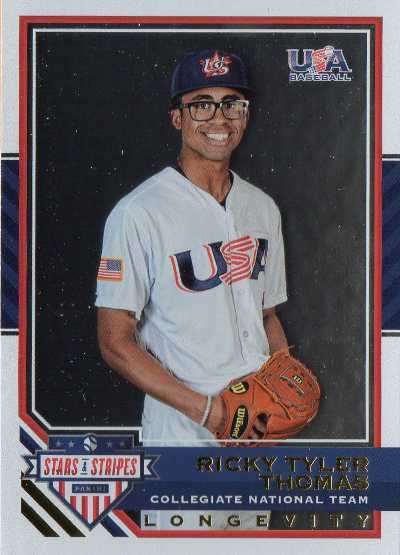 I was able to see him just in time before he was promoted - to get this 2016 Topps Heritage Minors insert signed. 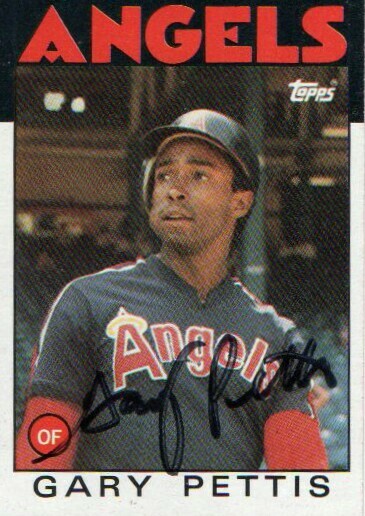 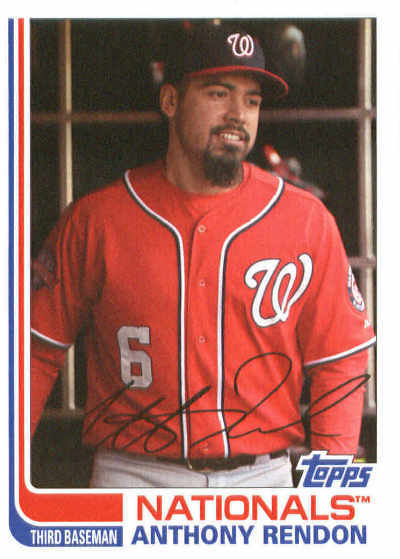 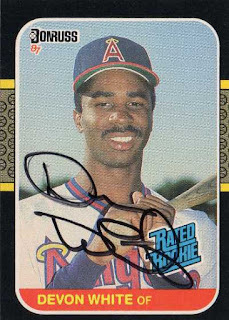 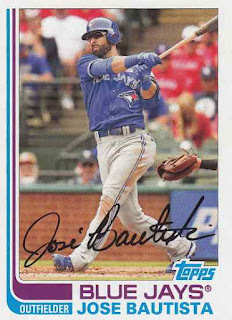 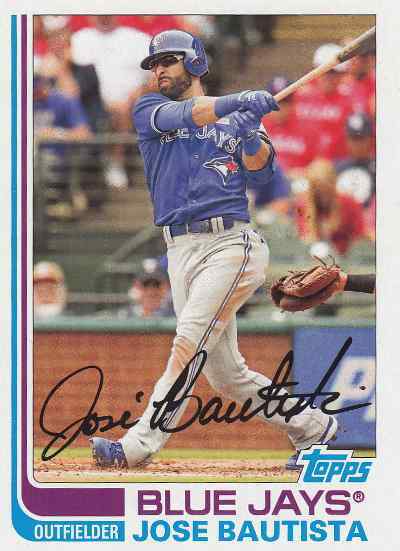 The former Angels outfielder signed my cards in black Sharpie in about three weeks c/o Buffalo Bisons - where he is the hitting coach for the Toronto Blue Jays AAA team. I think he has intermittently coached with various MLB organizations over the years, but I haven't gotten the opportunity to actually see him in-person - on Instagram, I saw at least one TTM success posted this year and figured I might as well send off a letter to see if I could get ink on three of my random junk wax era cards. As a player, I remember Whyte mostly as an all-world center fielder with the Toronto Blue Jays - in his prime, no one matched his prowess as a defender for the two World Series Championship Blue Jays teams in 1992 and 1993. 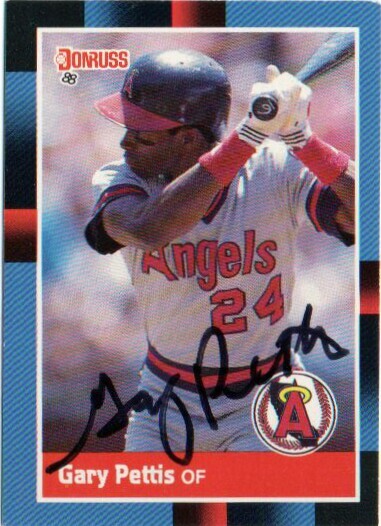 I really wanted to send him some Blue Jays cards, but he spent the first six years of his big league career with the Angels - looking back at his stats after his fine 1987 rookie season, I saw a star crossed player who bottomed out in 1990 and needed a change of scenery. 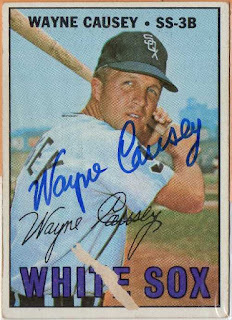 I wrote out his last name as 'Whyte' as that is how his last name is actually spelled - even though 'White' is the more common spelling of his last name. "A favorite card from before 1950, whether you own it or not." 1909-11 T206 Honus Wagner - while this card is only attainable when you own a MLB team or at least be in the same financial level, for any random collector of any era, the narrative behind this card is hard to ignore. 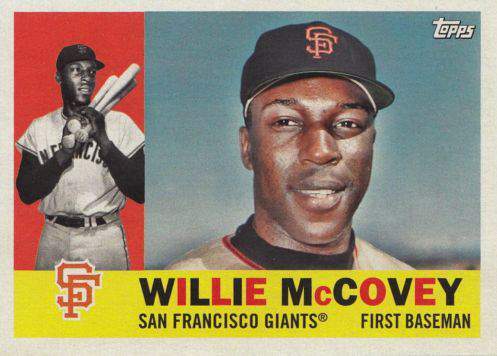 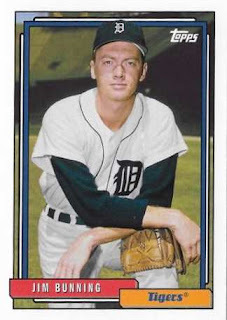 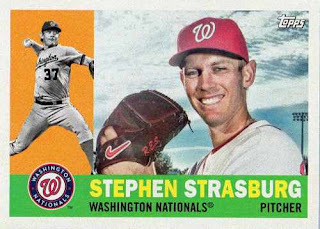 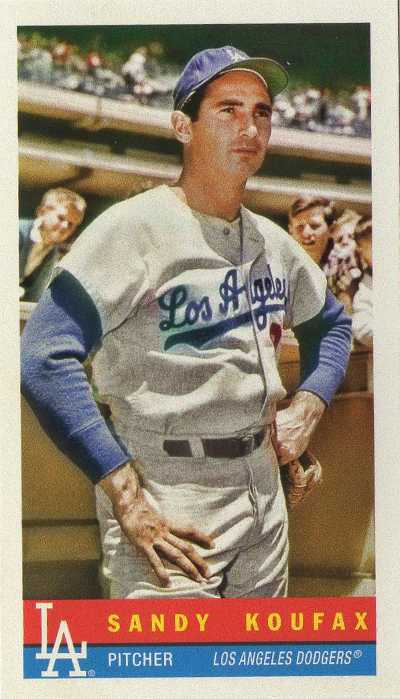 I don’t remember when I bought his 1967 Topps card, but unfortunately the adhesive on the lip of a team set bag got briefly stuck to the card and caused paper loss - I sent it out just to get some ink on it and it was signed nicely in blue ink in about a week or so. 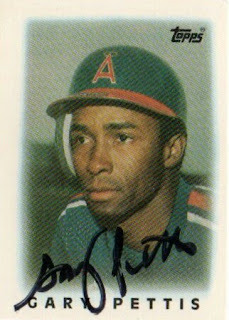 Go figure, Causey was actually a one-time California Angel, playing in 4 games with the team in 1968 - so I can use the signed card for my Angels all-time autograph collection. 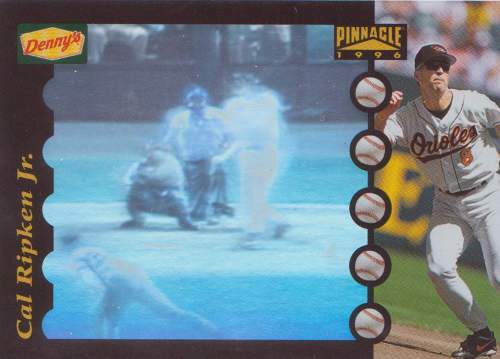 "A favorite relic/manufactured relic card." 2001 Upper Deck SPX Ken Griffey Jr. #KG1 jersey bat relic - when memorabilia cards were still kind of a thing, the concept of having one card featuring pieces from a players' game 'worn' or 'used' material appealed to me. 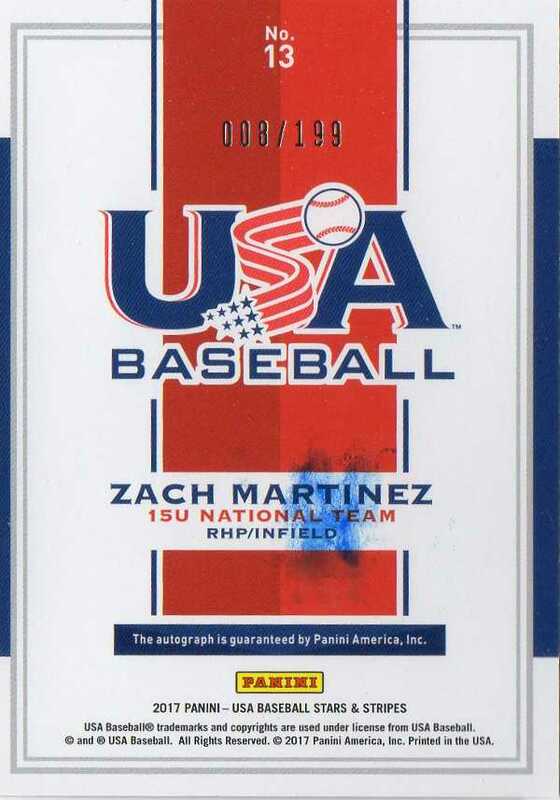 Besides the really harder to pull super patch cards, with a huge swatch from some patch off a player's jersey - I had the idea these dual relic cards was the next best thing, if couldn't secure the player's certified autograph for one reason or another. 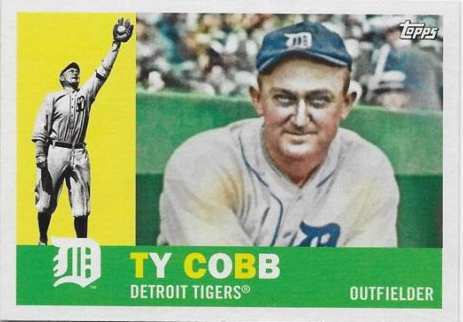 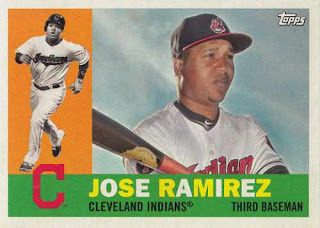 Even if the sentiment towards game-used cards has tailed off due to being too common or with collectors just not being able to trust card companies as far as authenticity of the relics used - dual relic cards still catch my eye depending on the player shown, what types of 'worn' or 'used' materials are used and whether or not the card just looks good. 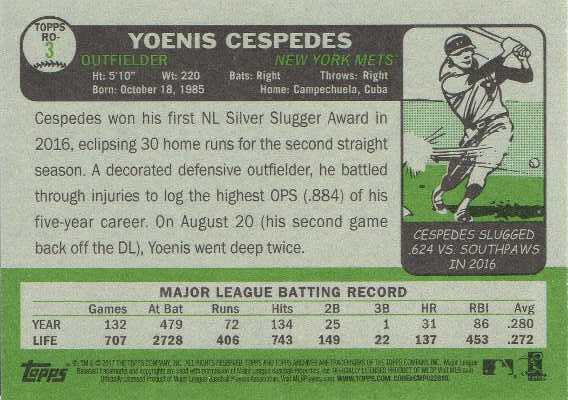 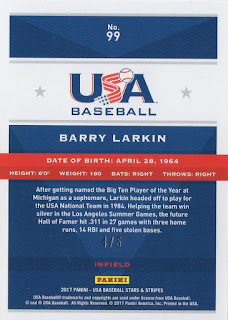 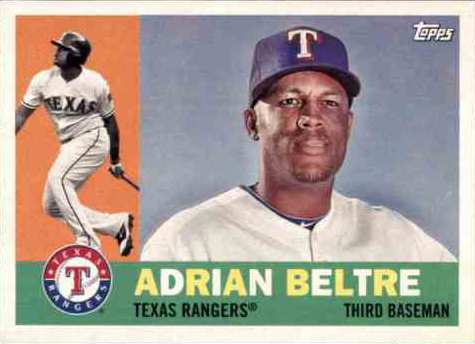 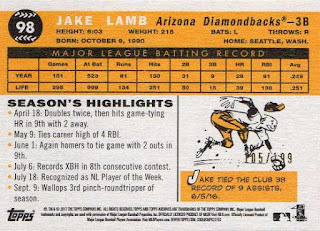 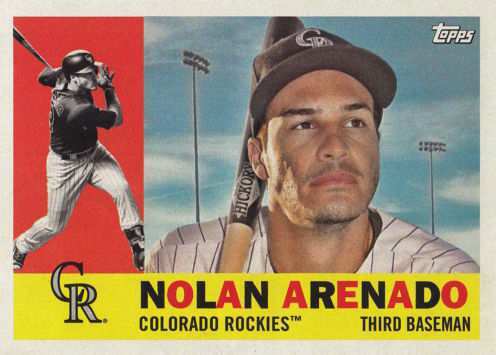 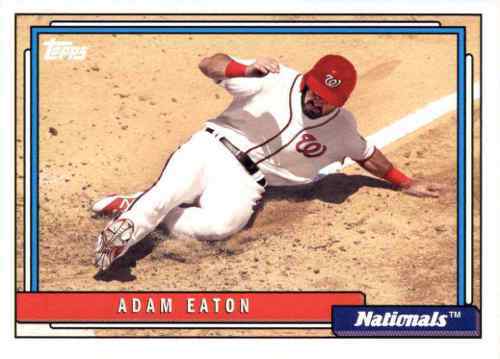 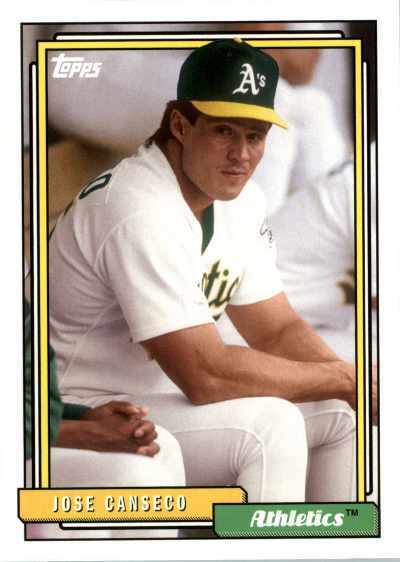 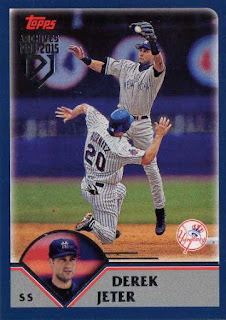 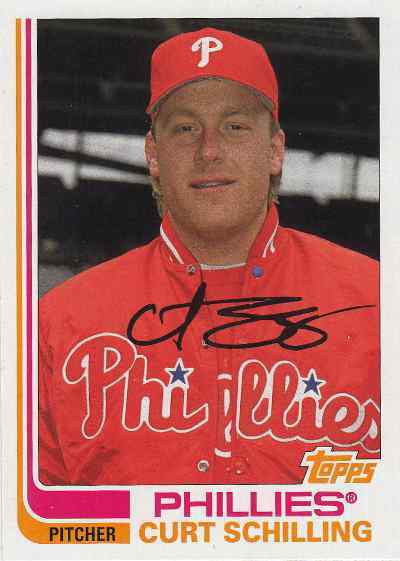 "A favorite oddball card from the 1990 or later." What I liked about these cards was the fact you can shine them up to a light source and sort of see the player featured doing something - I think most of the previous hologram cards featuring actual players only showed a static image, where you had a 3D effect going, but you couldn't play around with the card like you could with these cards. I jumped at a chance to pick up two of these when I saw these on the shelves at a Target - this isn't a product I anticipate coming out each year, but something I take a look at through a blaster box purchase or maybe through some loose packs at the LCS [if available]. Bonus pack of Baseball Coins - comes in a nice, cutesy, 'micro mini' plastic wrapper that is worthless the moment I tear into it. 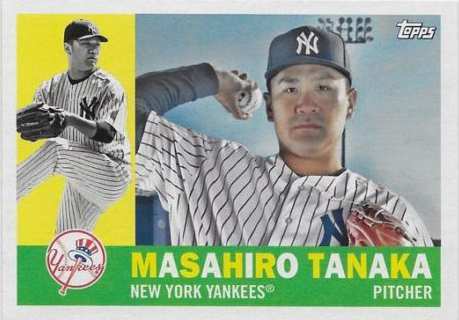 #92 Masahiro Tanaka - with the horizontal design and how colors kind of pop, the 1960 style is probably my favorite. 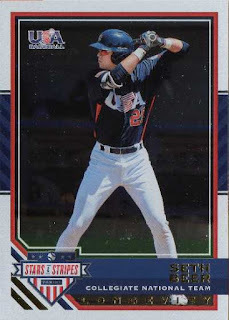 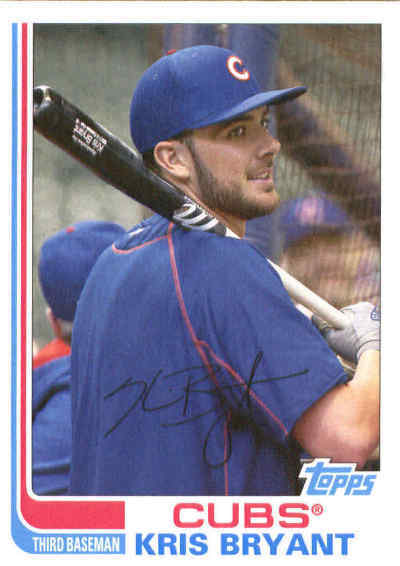 #200 Kris Bryant - I kind of liked the original year 1982 cards with the ‘hockey stick’ design and while the facsimile autograph sort of clutters up the front of the cards, it’s an attractive card design [I guess for 1982 in particular as opposed to 2017]. 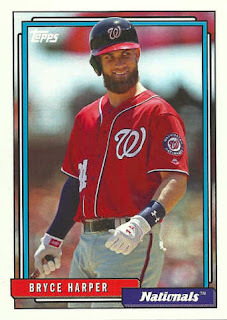 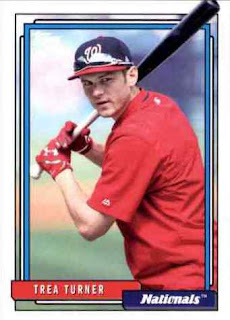 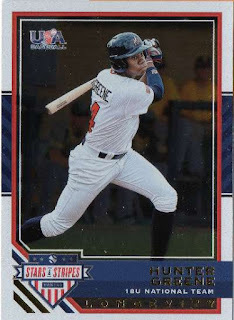 #205 Trea Turner - 1992 was the year of Topps cards I had most exposure to and I kind of felt the set was a little generic, especially with 792 cards. 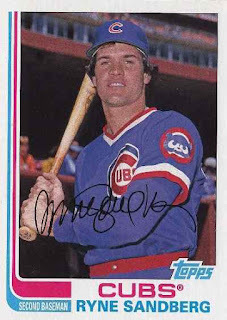 #192 Ryne Sandberg - it's probably been done before, but I like seeing a 'what if' Sandberg with a 1982 Topps design. 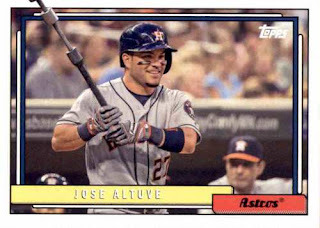 #293 Jose Altuve - I feel like all the vertical images used in the original 1992 issue cards made that set feel a little redundant, but the occasional, original cards with horizontal player images stood out with seemingly a little more personality. 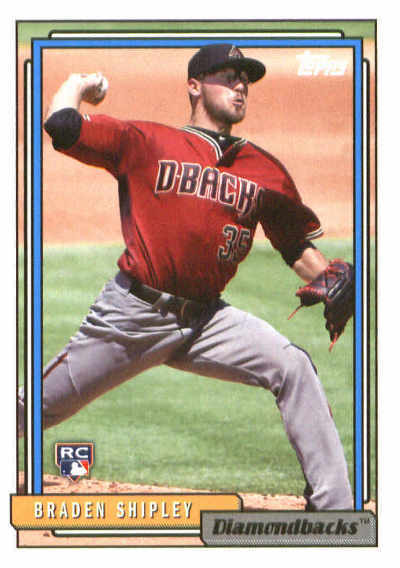 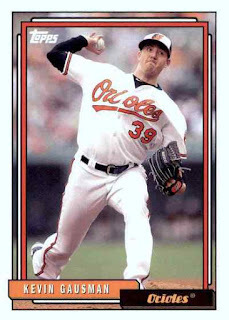 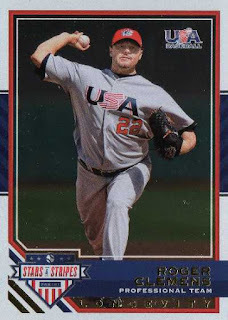 #290 Kevin Gausman - I find myself playing the game of whether or not I’d find the similar type of image used in the original year cards. 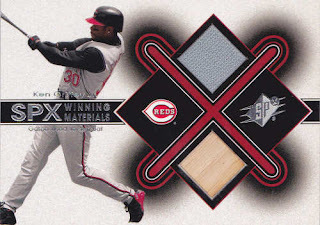 I’d say at the ‘meh’ images [only counting active players] found on at least a handful of this year’s 1992 style Archives cards - would probably be faithful to their junk wax era counterparts. 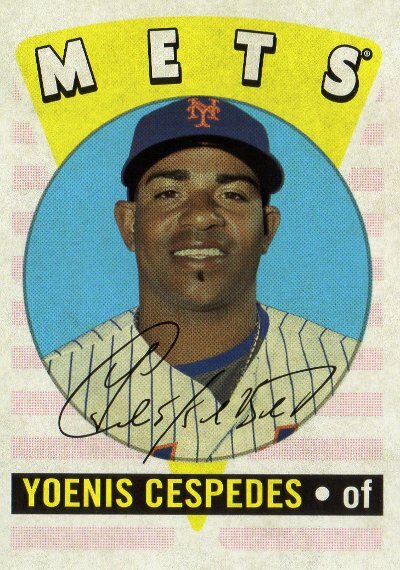 #Topps RO-3 Yoenis Cespedes - 2016 Retro Originals; I guess this was a retro inspired design thought up for last year; like how there is actually a card back built up as opposed to a ‘run of the mill’ insert.